So… I’ve got a little problem. I’m in a hotel room in Virginia, on a research trip, and I don’t have good internet access right now. I was hoping to finish my 1863 In Their Words article and publish it, but I can’t get to that file right now. Thus, I thought it would be best to share a few photos from the last few days and we’ll try to get the 1863 posts back for next week. Maybe even double posts if I’m motivated! 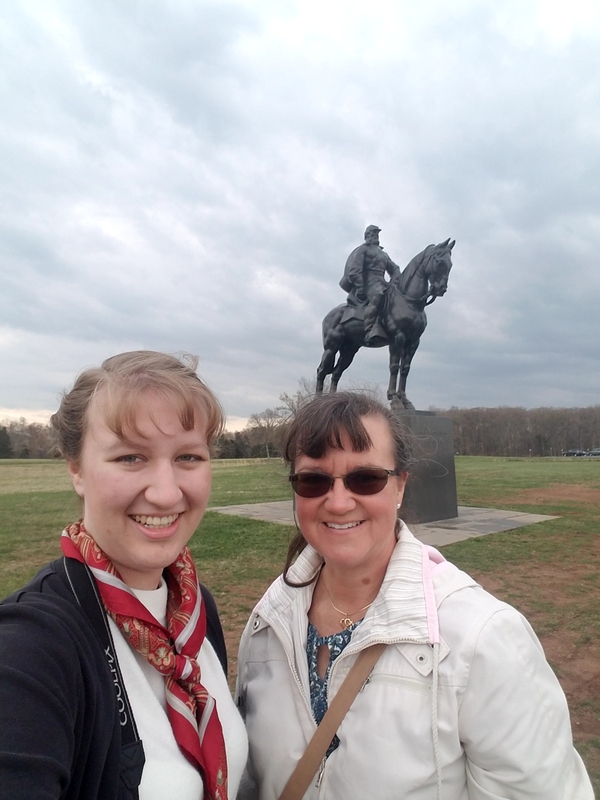 My mom and me at Henry House Hill at Manassas National Battlefield with the Stonewall Jackson statue in the background. Of course we had to visit the cemetery and leave flowers for the soldiers and civilians we’ve been researching. 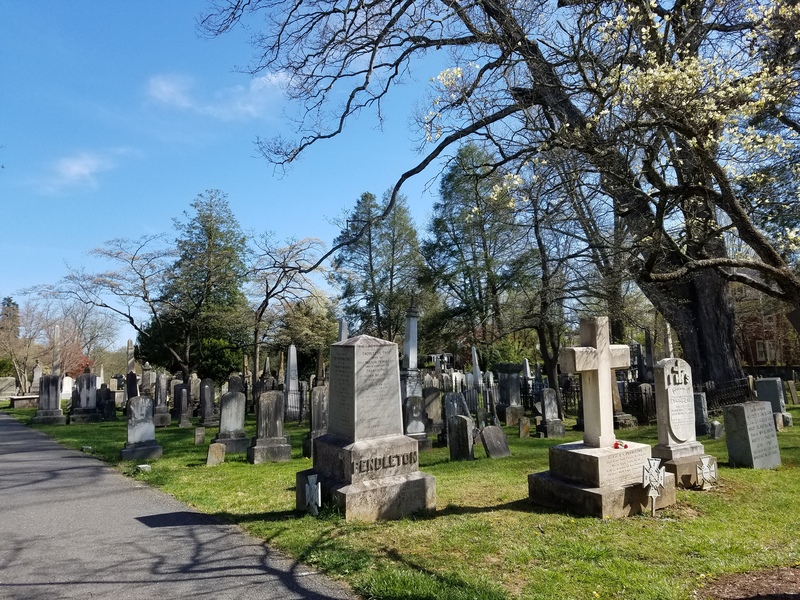 And it’s been wonderful “getting lost” in the farmlands and battlegrounds of 1862, 1863, 1864, and 1865 in the Shenandoah Valley. Back to regular 1863 posts next week, Lord willing, and if the internet actually works properly again! That’s so neat, Thomas. 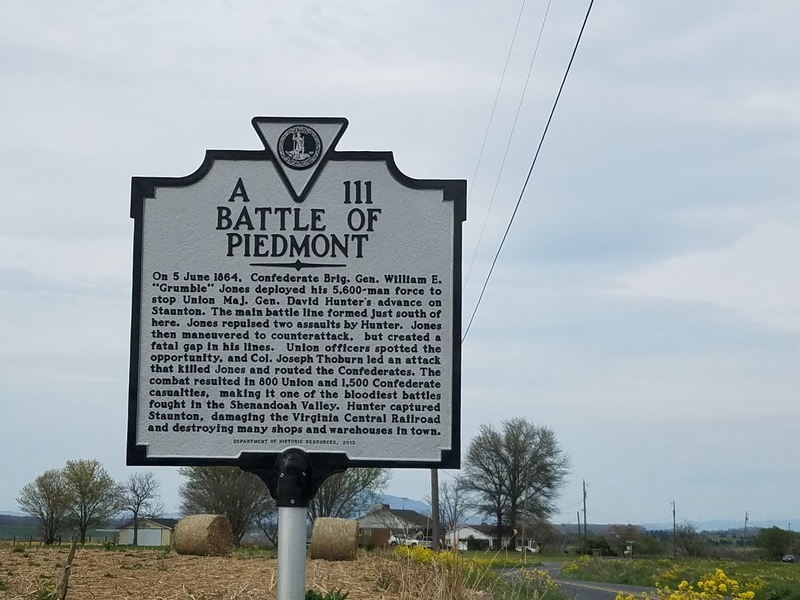 Glad we could share a photo of the battlefield with you!